What happens when you put some of San Francisco’s finest designers in front of the Mission Bicycle Design wall? 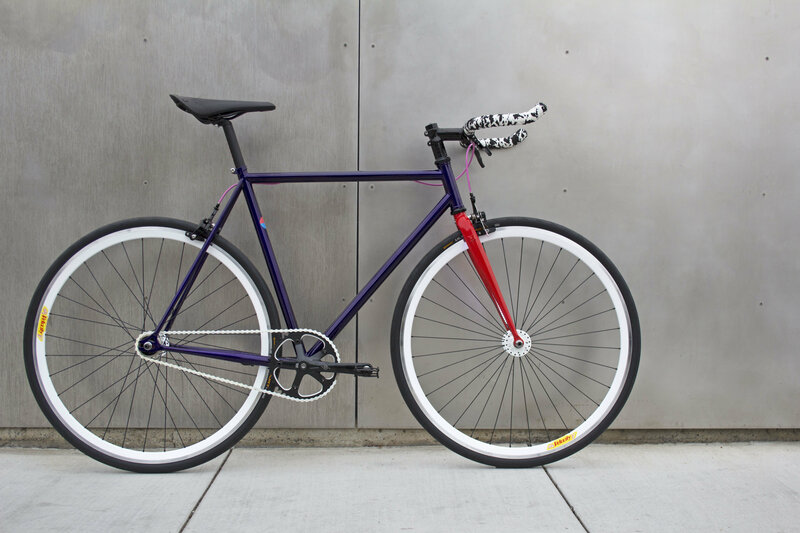 Well, you get a one of a kind bike that’s as beautiful as it is functional- the official bike of San Francisco Design Week 2018. To make the week even more festive, we’re raffling this rideable art piece off to one lucky winner at Mission Bicycle at the Studio Crawl event on June 15th. Suggested donation for the raffle is $5. All proceeds benefit San Francisco Design Week a non-profit 501(c)3 produced event. With your donation, we are able to continue to bring you an educational programming, community building, networking opportunities, tools resources and more. Tickets will be on sale at Opening Night but you can grab raffle tickets in advanced here. Unable to make it to Mission Bicycle on June 15 for the winner announcement? No worries – if you win you will receive an email. Winner must respond within 24 hours to secure the bicycle. If you aren’t already familiar, Office is the design studio responsible for the vibrant visual theme you’ll see accompanying this year’s SF Design Week, both in print and online. The frame’s deep iridescent purple serves as a base, and is contrasted by a lively collection of colors. The welcome addition of our signature integrated lighting to the mix ensures you’ll be seen both day and night. 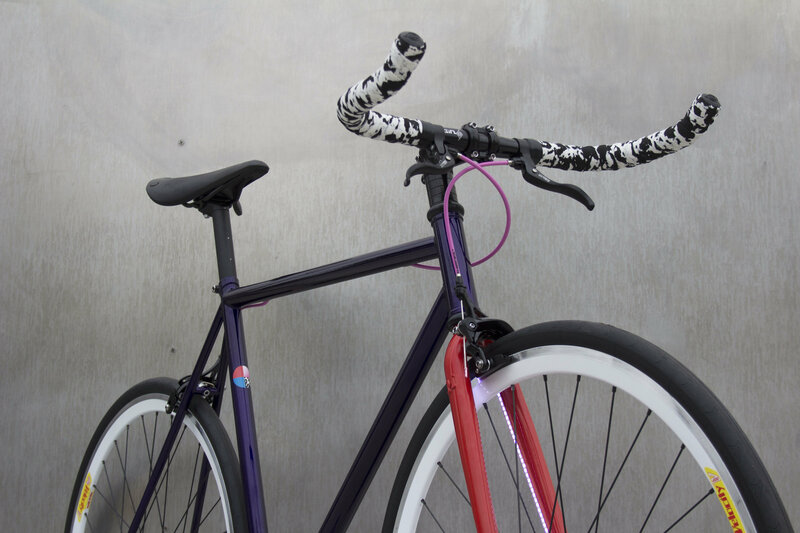 Any designer will tell you that every detail counts, right down to the custom printed decals and complimenting bubble gum-pink cable housing. The cherry on top, however, might just be the saddle. 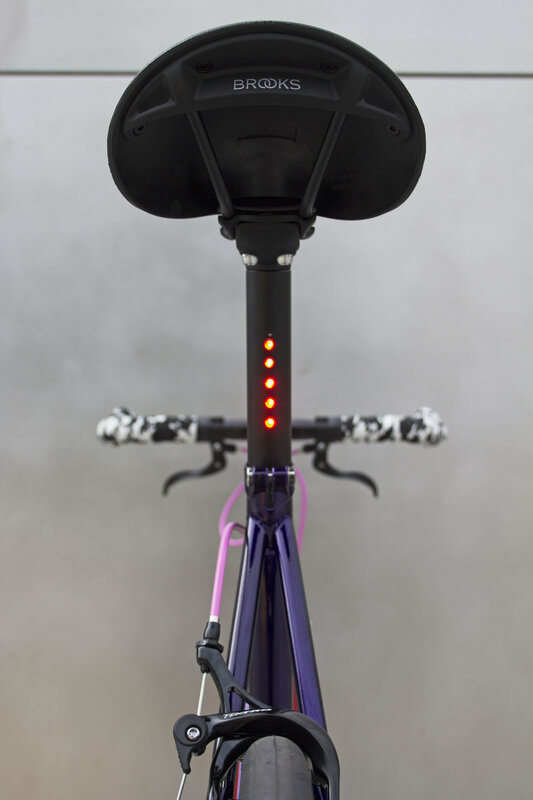 A Brooks C17 (designed in San Francisco by Ideo) adorns the seatpost, assuring you’ll ride comfortably no matter what the weather throws your way. Every donation is tax deductible! Please email info@sfdesignweek.org if you need a tax deductible receipt. SF Design Week on June 6, 2018 .